Deer season has been exciting, but we’ve made several mistakes that have cost us deer. Just this week a careless mistake with muzzleloader maintenance cost Moriah a big buck! 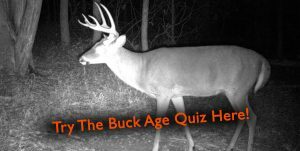 We are talking over these learning moments, how we will avoid these stupid mistakes in the future, and anticipation for turkey season on this week’s podcast!